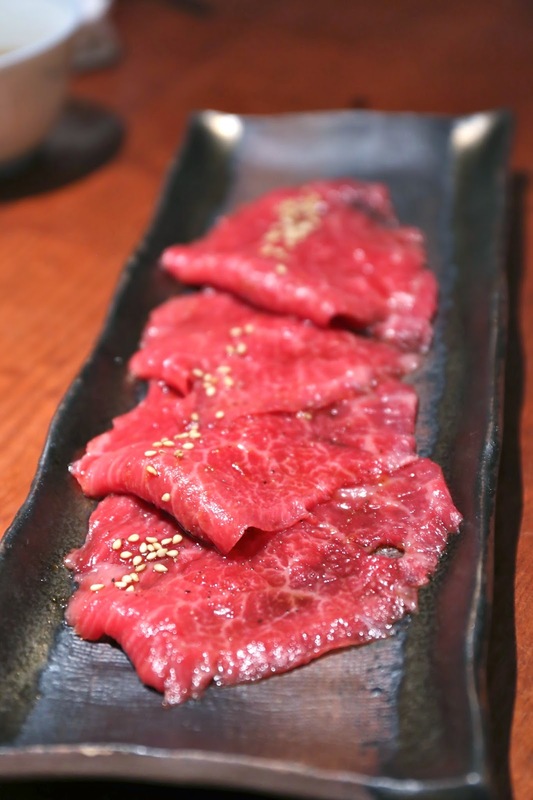 I normally don't put up blogs about meals at places at yakiniku (焼肉) restaurants, because we are doing the cooking ourselves and the restaurant is only providing us with the ingredients and the means of cooking. However, the restaurant tonight deserves a special mention on this here blog, because as Fergie found out from his dinner last night, Yoroniku (よろにく) is the place chosen by the staff from L'Effervescence to celebrate getting their second Michelin star recently. Now that's saying something! We chose not to take the set menus, and instead cherry-picked our cuts of meat in order to take advantage of the more interesting offerings. Korean pancake with Kyoto vegetables (京野菜のチジミ) - pretty yummy, actually. 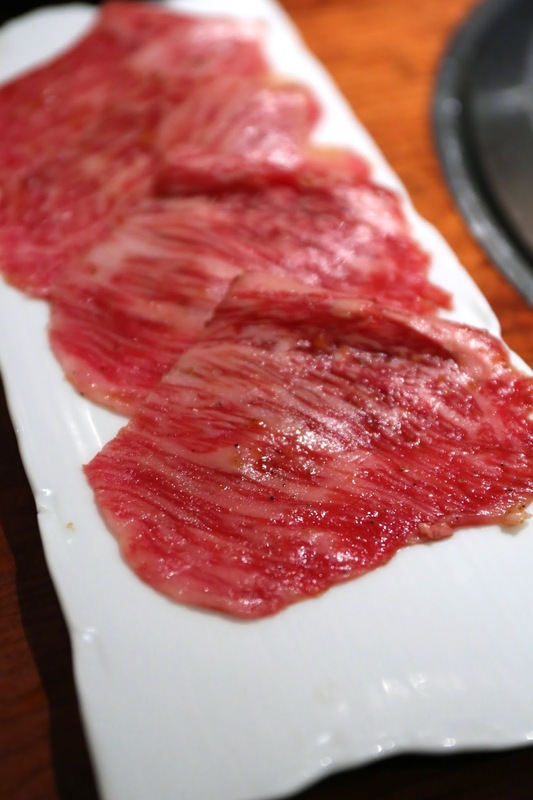 Thick-cut tongue (厚切りタン) - thick cut is the best way to go. Chuck tender (トウガラシ) - apparently each head of cattle yields only about 2kg of this... coming from the front legs. Very thin slices so we're told to cook for 8 seconds on each side. Fairly lean but pretty soft and tender, yet chewy at the same time. Premium hangar steak (上ハラミ) - so much flavor here, nice and chewy. Shoulder triangle (カタサンカク) - nice and chewy with sinews. Eight seconds on each side. Shoulder blade (ミスジ) - really tender and fatty. Eight seconds on each side. Silkroast (シルクロース) - so fatty and melt-in-your-mouth. Premium select sirloin (特選サーロイン) - will you just look at that marbling! We ordered ourselves one little bowl of rice so that we could have the beef fat drip onto something... Yum. 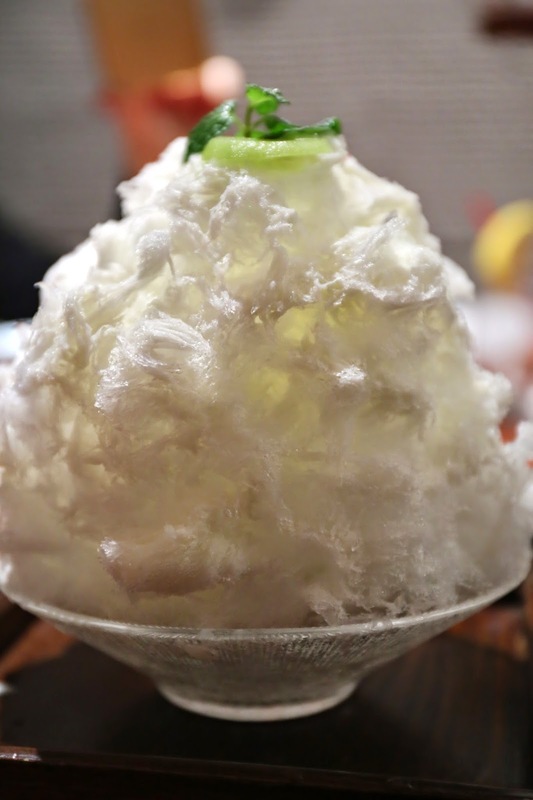 The great thing about this place is that for dessert, they offer Japanese shaved ice (かき氷). I think that's pure genius, because after a meal of heavy grilled meat, which for us Chinese is very "heaty (熱氣)", having something icy and cold would be perfect to balance things out. 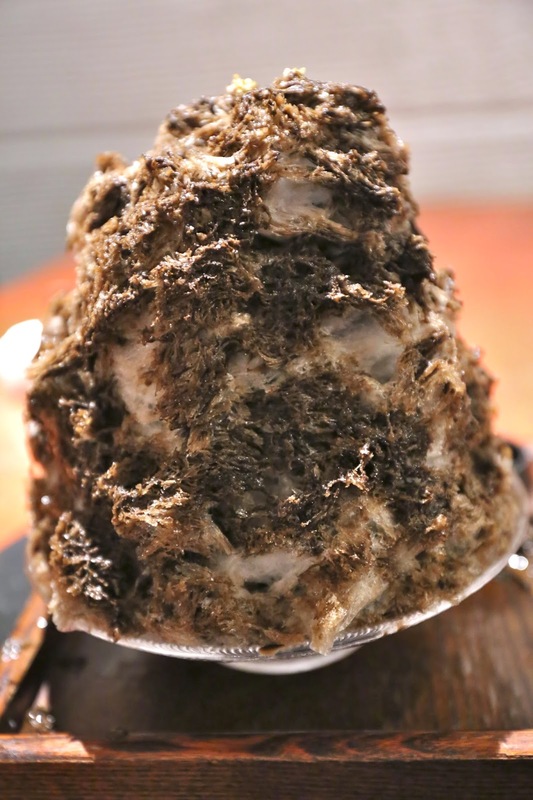 Houjicha shaved ice (ほうじ茶のかき氷) - the shaved ice is incredibly fluffy and fine, so this is mostly air. The houjicha (ほうじ茶) syrup was a lot stronger than I expected, which was great. Shirokuma shaved ice (しろくまのかき氷) - shirokuma means polar bear, and here the ice is flavored with condensed milk.